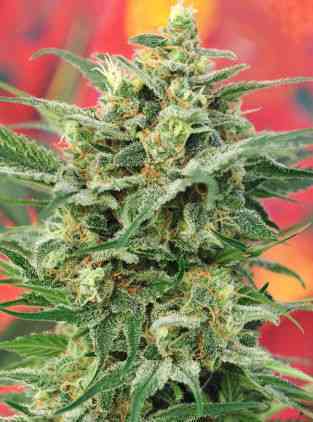 This is a fragrant, uplifting sativa that delivers quality harvests indoor & outdoor. Special attention was devoted to making this variety a low-maintenance plant that finishes by mid-October in northern climates. Flowering sets in quickly with most plants sexing within one week of switching to 12/12. Another positive feature is the fast and profuse resin production during early flowering that rewards your efforts right from the start. 8 Miles High has proven to be very reliable under various environmental stress factors such as abrupt changes in light and temperature. Plants can therefore be moved from indoor and planted out with no adverse effects. 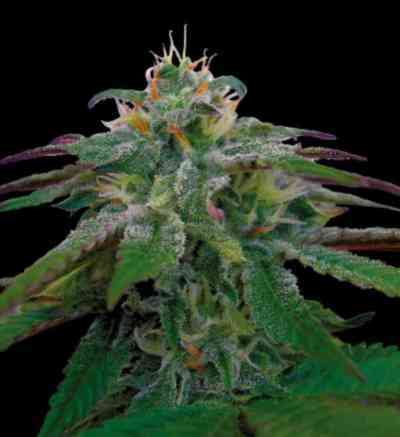 This strain is easy to grow and has no special requirements. It has shown good mould resistance and grows well in soil with no extra feeding, making it a good choice for growers with little experience or not much time on their hands. 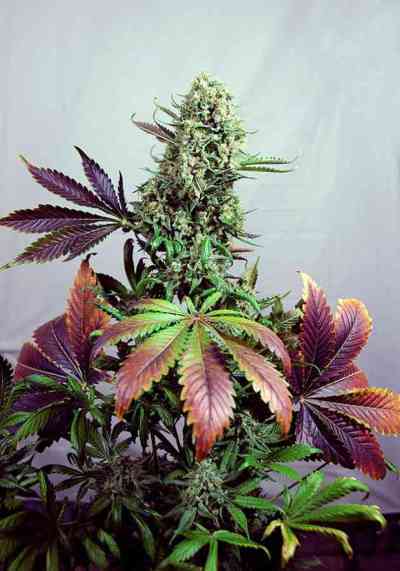 The indica-type females have minimum branching, medium tall growth, and are excellent for small spaces or cultivation in close rows. The sativa-leaning pheno can be grown as a multi-stem plant or trained if this is your preferred method of cultivation. It has longer branching due to the extended internodes and exhibits great potential as a big producer outdoor. For a sea of green set-up in hydro both phenotypes can be used. In hydroponics we recommend pruning the bottom branches on the sativa-leaning females so that all energy is focused on the long central cola. 8 Miles High has a great calyx-to-leaf ratio and slim leaves that make trimming the buds a quick job. Resiny bud production throughout the plant from top to bottom guarantees a quality harvest. The aromatic properties of this strain are delightfully diverse and feature the rare trait of strawberry fragrance. During flowering a slight brush against the plants releases a wonderful sweetness with an earthy undertone. This delicate aroma is followed by the more dominant piney freshness. As the plants mature you can also detect whiffs of a sweet lemonade scent or almond-tangerine. Cured buds may retain the piney-minty smell but, in addition, there is a variety of delicious aromas ranging from strawberry, melon, apple-cinnamon, to hash-candy. The smoke has a fresh minty taste and lingering sweetness to it. 8 Miles High lifts off straight to the head and triggers a lot of cerebral activity with flashes of insights and long episodes of trippy visuals when you close your eyes and switch to auto pilot. This is a functional daytime smoke, or a wake-up call to keep you on your feet partying at night. The uplifting, almost euphoric, effect sets in once you reach maximum altitude. This energetic sativa glides back down smoothly and leaves an expansive feeling behind. Medical use: Good potential against lethargy & depression; stimulates appetite. Yield (dry weight): 400-450 gr/m2; 800-1000 gr. per plant outdoor in the ground.